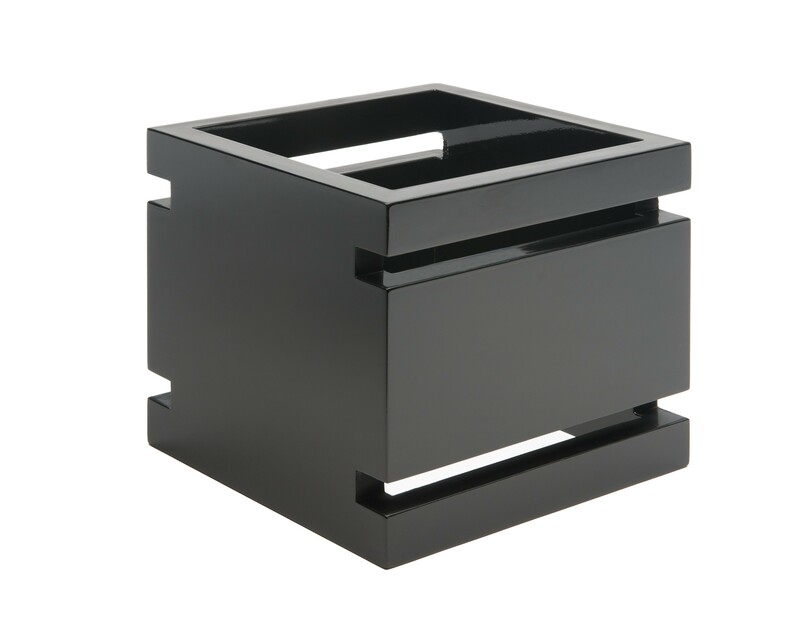 This six-inch multi-level black gloss bamboo square riser is part of the Skycap(R) buffetware line. Made using environmentally friendly bamboo, this riser features a natural finish and can withstand commercial environments. This riser is very versatile for caterers, buffets and gatherings. Caterers can change the look and style of tablescapes and presentations by adding additional pieces from this classic, chic and natural looking line.